In order to add new or edit existing records we use Editors. The major Entities and Transactions have their own Editors while "Child" entities have Pop-Up editors, accessed from its "Parent's" Details page. To create a new record you can use the Side List Create New drop-down menu and select the required record. 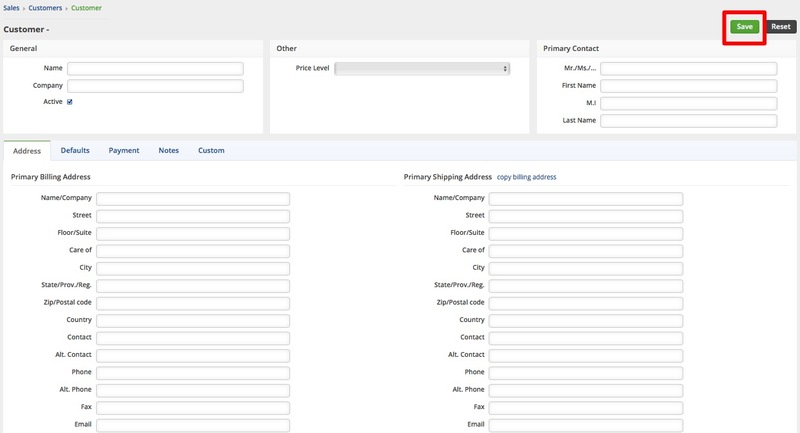 Once you have selected a record to generate, complete the information requested on the page. Click on Save. To edit an existing record, click on the Open Full List drop-down menu and select the record that requires editing. Once the records are opened, find the record that needs editing and click on the Notepad icon on the right side of your screen (Under ACTIONS) or open the specific record and click Edit. The selected record will open, edit the corresponding record as needed. Complete the changes to your record and click on Save when completed. A record can also be edited when the existing record is opened. Simply click on the Edit on the details page, and change the information as needed. 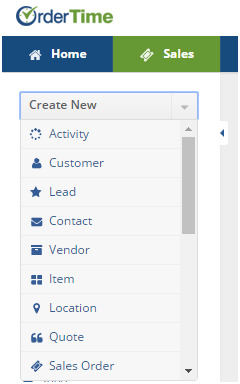 Child listing tab can also be edited by clicking on the editing pad icon under ACTIONS. To delete an existing record, click the X icon located under the ACTIONS column. A Pop-Up window will confirm if you want to deleted the record. Click on OK, if you are ready to delete record.